The fast-tracking of Legion, the latest series from Fargo creator Noah Hawley, will spearhead an X-cellent line-up on SoHo in February. Spun off the X-Men franchise, it stars Downton Abbey’s Dan Stevens as the son of Professor Charles Xavier, a diagnosed schizophrenic who discovers the voices he hears and the visions he sees might be real. 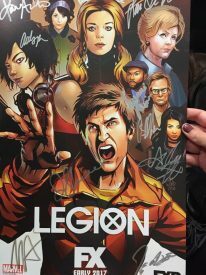 Legion also stars Fargo’s Rachel Keller and Jean Smart, Parks and Recreation’s Aubrey Plaza, and Togetherness’ Katie Aselton. It will screens 8.30 Thursdays from February 9, the same day as its FX telecast in the US. Also new on SoHo will be the latest seasons of Billions (9.30 Mondays from February 20) and Fortitude (9.30 Thursdays from February 2), and the HBO mini-series, Big Little Lies (8.30 Sundays from February 26). 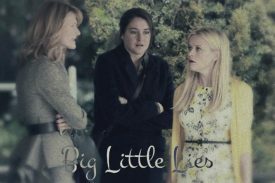 Adapted by David E Kelley from Liane Moriaty’s best-selling novel, BLL stars Reese Witherspoon, Nicole Kidman and Shailene Woodley as three very different mothers of new entrants whose apparently perfect lives unravel to the point of murder. Laura Dern (Enlightened), Alexander Skarsgård (True Blood), Adam Scott (Parks and Recreation), James Tupper (Revenge) and Zoë Kravitz (Divergent) co-star. It will go to air here a week after its HBO premiere. At first glance, you might think so, but it’s unclear how close it will adhere to the Marvel Universe and given its creative credentials, is likely to have more in common with Fargo than Xavier and co. I am confused. TVNZ is advertising The Level for TVNZ 2 but TVNZ 1 is airing the series. What’s wrong here?